Your mission, should you choose to accept it, is to read this review then buy one or both of these games. This message will self destruct. So the player with the Spy card has no clue where they are, everyone else does. The round is timed and consists very simply of the players asking each other questions with the one caveat being you cannot ask a question of someone who has just asked you one. The Spy is trying to work out where they are before the time runs out whilst everyone else is trying to work out who the Spy is. Simple right? Not so much. See this is a game very much in the Dixit vein that sounds easy but has a really interesting mechanic the messes with your head. If you know where you are you want to let everyone else know you do, but without giving away your location to the Spy. If you are too obtuse then they might suspect you of being the Spy and if a false accusation is made, the Spy wins. If you are too obvious the Spy will guess where they are and they will win. At the same time you want to try and give the Spy just enough rope to hang themselves, implying that you are in one location whilst being in another. So yeah not so simple. Thinking up appropriate questions is hard, and we found it took a few rounds before we got into the swing of things. That’s fine, but it does mean that with some groups the first couple of games might feel a little stale. Once we got going though we found the game to be hilarious and really interesting with fantastic replayability. 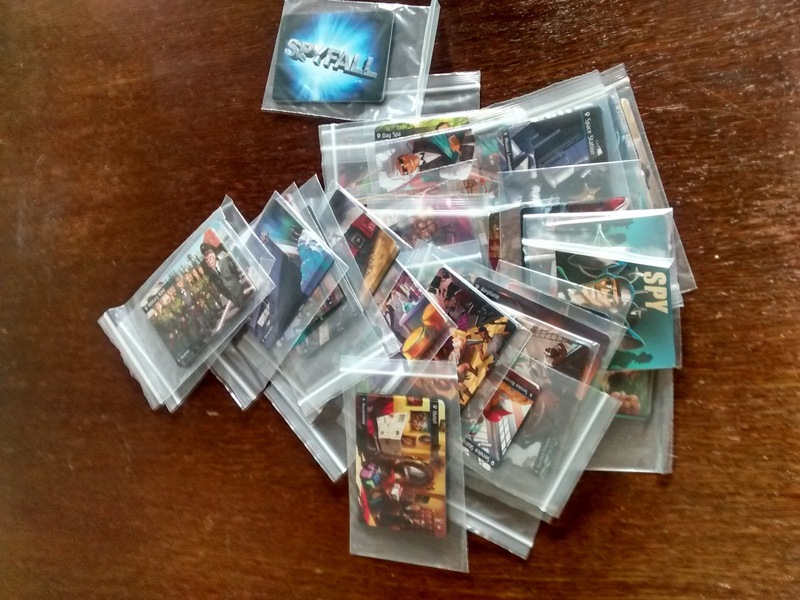 Our second spy themed game is from the excellent Vlaada Chavatil, a man who seemingly has no limits on the games he can design and makes me insanely jealous of his talent. Curse you Chavatil. You’ll notice that the team that goes first has 9 words to find and the other team has 8. This is a nice little balancing factor and the card in the middle is added to whichever team goes first. See the object of the game is for the spymasters to take it in turns to convey to their field team where their agents can be located in the grid. They do this by saying a single word and a number indicating how many words on the table relate to the word they have just said. Their team then decides which words they think the Spymaster was meaning by touching them in turn. If they touch one of their own colour, excellent and the can keep guessing up to the number of times the spymaster said plus one. If they touch an opposing teams colour or an innocent bystander their turn is over, and they may have helped the opposing team. If they touch the assassin then it’s gameover and the other team has won. So yeah a clue is just a word and a number, but you have to be careful not to hit the assassin, or the other team or the innocent bystanders. Sometimes your team is going to get it wrong, but they will have the opportunity to get it on a subsequent round, and as the game progresses the number of options for solutions fall. When we played this we accidentally ended up playing 4 times. 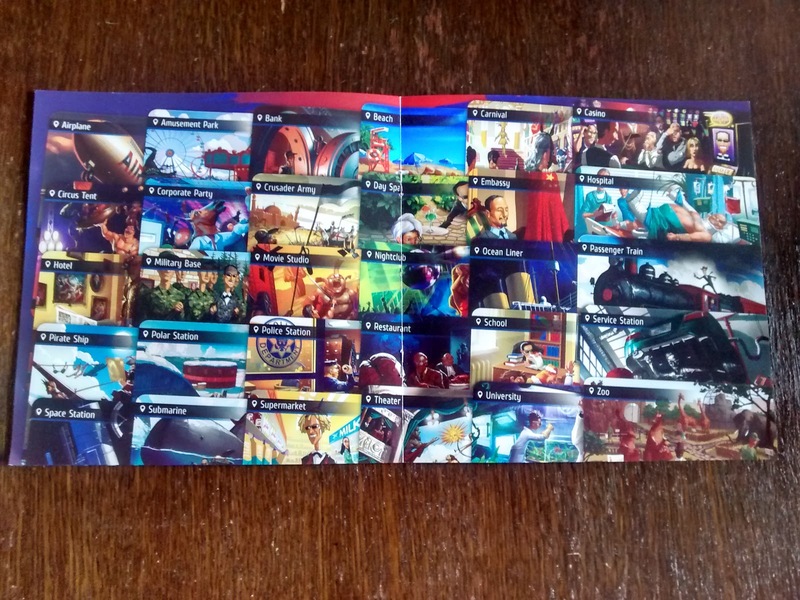 The double sided cards are orientated such that you can just flip them over, swap who is spymaster and who is field operative and go again. It’s an incredibly fun and intense game, where who is in the lead can go in beautiful swings and roundabouts. This is going to be one of those games I carry around with me most places, as it is so easy to setup and play, and 1 round is enough to get people hooked. Unlike Spyfall it doesnt really matter if you can think up questions or not and it gets going right from the off. 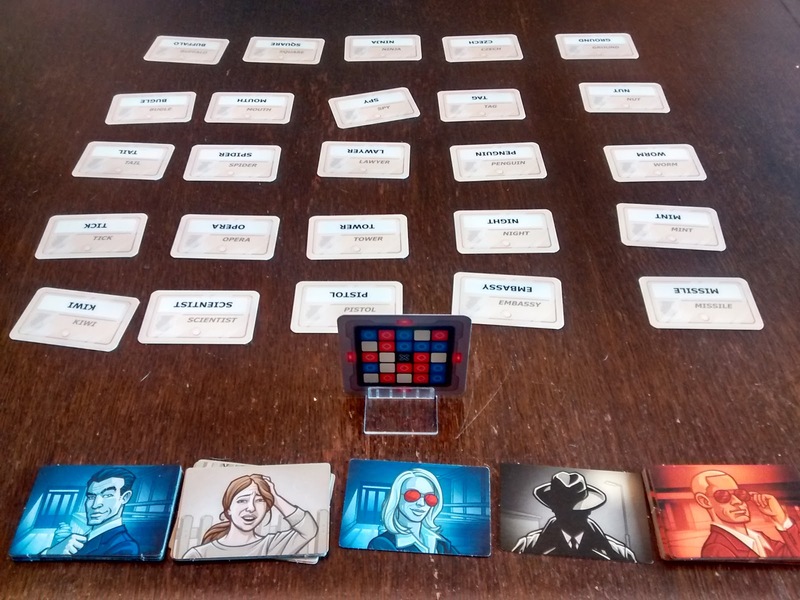 I love both games but I think Codenames just edges it out for me in terms of accessibility. You surely need to read this article about monitoring applications.